This tutorial shows a slightly different way to make a granny square dishcloth. It is my favorite method because it works to “hide” that initial chain that counts as the first dc in each round. As Abigail mentioned, you need 100% cotton yarn. I like Lily’s Sugar and Cream because it is widely available and reasonably priced. Lion brand yarn has a wonderful hand, but it is more expensive. Use a size "G" hook. Round 1: Chain 4. 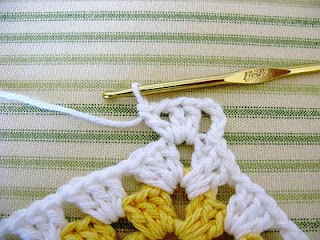 Join with a slip stitch in the first chain to make a ring. Chain 5. Make 3 dc in ring. Ch 2. 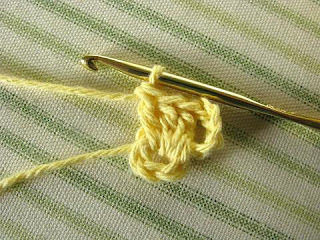 Make (3 dc, ch 2) twice more in the ring, catching the loose thread end. 2 dc in ring. Make a slip stitch in the 3rd chain of the chain 5 at the beginning of the round. Slip stitch in the next chain also and then chain 5 to begin a new round. 3 dc in the space at the bottom of the chain 5. * Ch 1. Skip the next 3 dc, (3 dc, ch2, 3 dc) in the next corner space. Repeat from * twice more. Ch 1. (Skip the next 3 dc. Put 2 dc in the space at the bottom of the chain 5 from the beginning of the round. 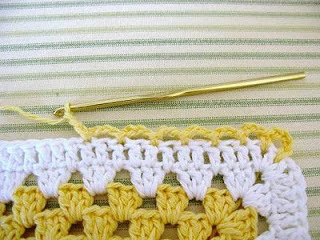 Slip stitch in the 3rd chain of the ch 5. 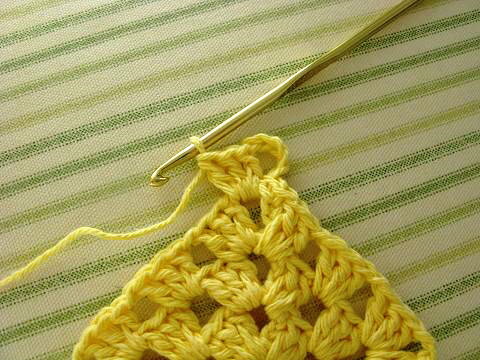 Slip Stitch in the next chain and then chain 5, as before. Round 2: Put 3 dc at the bottom of the chain 5. Ch 1. Skip next 3 dc. 3 dc in the next space. Ch 1. Skip the next 3 dc, (3 dc, ch 2, 3 dc) in the corner space. * (Ch 1, 3 dc) in the next space. Chain 1. (3 dc, ch 2, 3 dc) in the corner space. Repeat from * around. Ch 1. 2 dc in the space at the bottom of the beginning ch 5. Sl st in 3rd ch of ch 5. Sl st in the next ch also and then ch 5, as before. Round 3 and more: Begin the round as in previous rounds with (3 dc, ch 1) in the space immediately below the chain 5. Make (3 dc, ch 1) in each space across the sides and (3 dc, ch 2, 3 dc, ch 1) in each corner space. To close the last corner, put 2 dc in the space at the bottom of the chain 5 from the beginning of the round. Slip stitch in the 3rd chain of the ch 5, and in the next chain. Chain 5 to start a new round. Finish by closing the last corner with 2 dc in the space at the bottom of the chain 5. 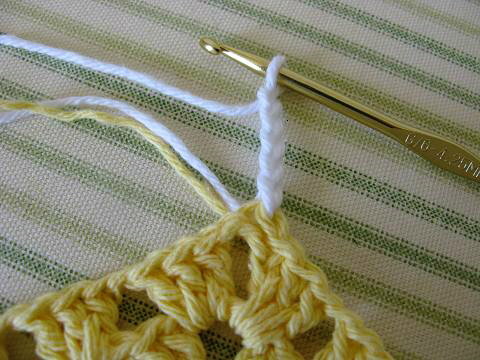 Slip stitch in the 3rd chain of the chain 5. Cut the thread and pull through. Weave in the end. I usually do about 7 rounds, including the initial round in the ring. But you can keep going if you like a bigger size. 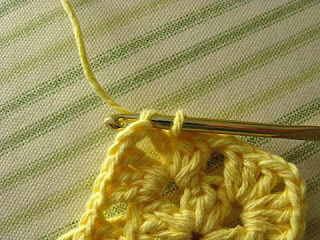 After the last round, you can stop, as Abigail did, and do a loose single crochet in each stitch around the entire dishcloth, to make a more finished edge. 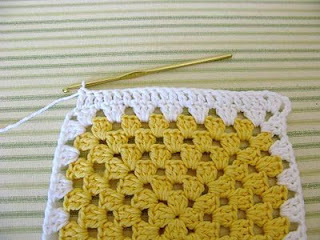 I want to show you how I like to finish a granny square dishcloth. I change colors on round 7 and do this last round with the edging color. To start the edging round, instead of a chain 5, I chain 4. Then, I put 2 dc in the corner space immediately at the bottom of the chain, as before. Ch 1 and one more dc in the same space. * Skip next dc. Dc in next 2 dc. Dc in the space. Repeat from * across to the space that turns the corner. (1 dc, c 1, 2 dc, c 1, 1 dc) goes in the corner space. Repeat from * across the sides, turning the corners as explained until you read the beginning chain 4. Finish off. 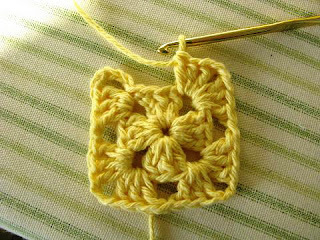 You can stop at this point also, but I like to add a further lacy edging in the same color as the middle of the granny square. Add color with a chain 4 between the 2 dc in the corner. Skip dc. Slip stitch in the next space. * (Ch 4. Skip next stitch, sl st in the next st). 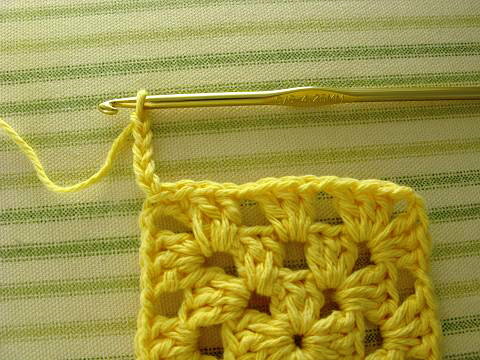 (The photo actually shows a single crochet in this stitch. I sometimes do this on the corners because it makes the edge lie better at the corner. But you can just do slip stitches if it is easier to remember.) Repeat from * all the way around, making sure a slip stitch goes into each corner, between the 2 dc. Put the last slip st next to the beginning chain 4. Finish off and weave in all the ends. 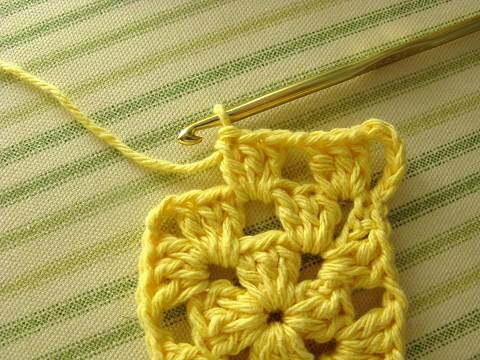 I like to "block" my crochet. It just looks so much more finished and pretty. 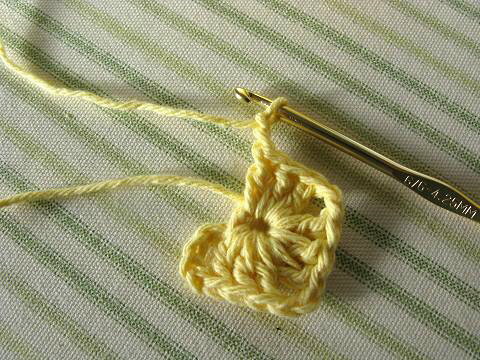 I adjust and square up all the stitches and pull the lacy loops out a bit. Then I hold the steam iron just barely over the cloth and let the steam flow for a minute or two. Then, let it dry in place. Thanks for the step by step! Maybe, I can do it now ~ I'll try when I get a chance. These look so "professional." The tutorial is so clear and easy to follow. Thanks. Wow! Thank you for the wonderful tutorial! It makes me want to dig out the yarn and try it out. :) Now before bed isn't a good time, but I am saving it and will try my hand at it. They are so pretty too. This kind is my favorite of the ones you made for me! I've always wanted to know how to do it. You are just a wealth of knowledge! I've been pilfering your ideas from the singing time blog for months now and just noticed the link to this blog. I just learned how to crochet and was thinking I would make some dishcloths for my MIL. Thanks for the perfect tutorial! You are so welcome, Lindsay. I hope you'll keep visiting me here. Sort of a different side to my personality! 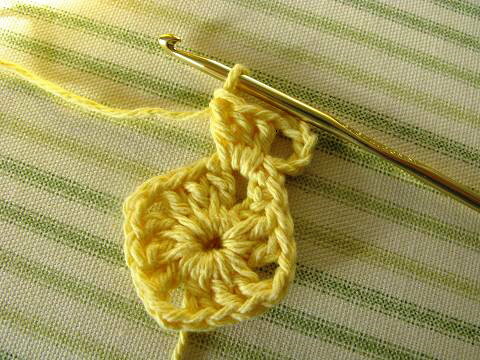 Crochet is one of my favorite things to do. It keeps my blood pressure down and just "levels" me out a bit. I'm glad you've caught the bug too. Just a thought, since Lindsay brought up the aspect of making these as gifts. Lindsay looks young in her picture, so her MIL probably doesn't have arthritis, but my mother does. 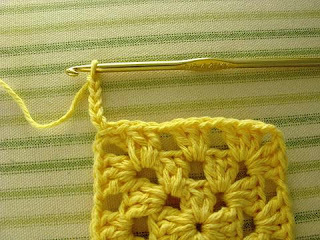 These crocheted dishcloths can be difficult to wring out if you have pain in your fingers and wrists. So, I try to make them in a smaller size if I know the person to whom I am giving has arthritis. I like the ones that are a bit smaller myself. You can adjust the rounds to whatever size you wish. I have to say that this is my first time here to your blog. Love it!!!!!!! This washcloth is adorable. 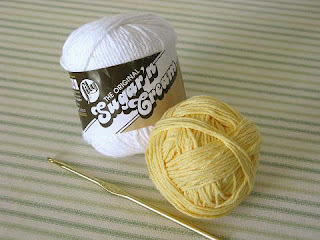 I can't wait to get some yellow yarn and crochet some of these up for my girls for their Hope Chests. Cute cute cute. I have also been going though some of your older posts. Enjoyed myself. I will be back. Thank you for sharing..........that is so sweet of you. 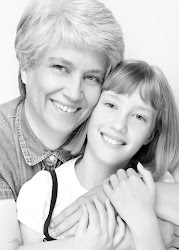 Welcome to my blog Linda! I appreciate your kind words and I'm very glad you can use this tutorial. Thanks for visiting. I remember my hope chest 40 yrs ago. Filled with "necessary" items to start "housekeeping". 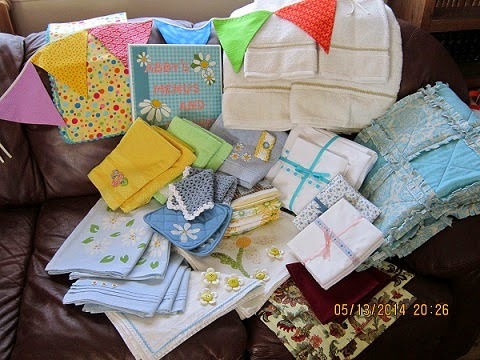 Thanks for visiting Linda, I would love to know what you had in your hope chest! Would you mind sending me an email? Perhaps I could "interview" you? Thank you so much for this tutorial! 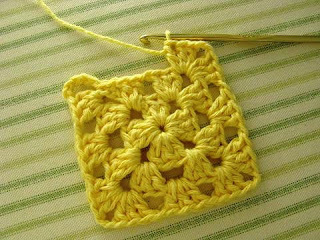 I have tried for a while to learn the granny square technique, but haven't found instructions that actually made sense. :-) Your instructions, however, look so simple...plus, the pictures are a giant help! 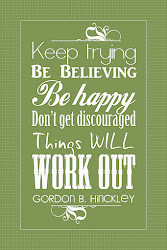 I shared about this on my blog, because I am positive others would love this! Hi I've come across from Linda's blog - thank you for this tutorial - I have been hoping to make one of these (or a whole household supply rather) for a while. Your tutorial makes it look quite easy - even for a novice crocheter like me! Shannon and Renata, welcome to both of you! I'm so glad you stopped by. 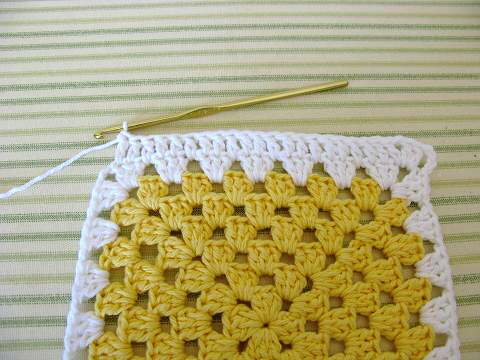 This dishcloth IS easy and I'm happy to share directions. Hello! I just found your wonderful blog through Prairie Flower Farm! 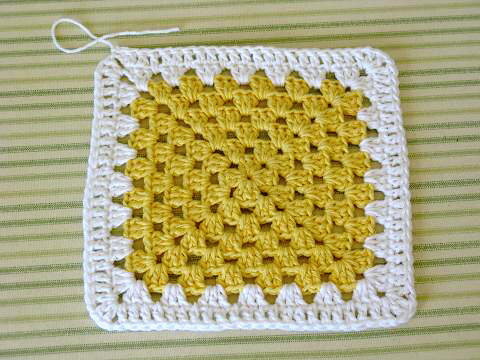 Thank you, thank you, thank you for this beautiful dishcloth pattern! This would make some wonderful gifts!!!! Love your blog! Hi back Amber, I am so thankful that Linda at Prairie Flower Farm has sent so many lovely readers my way, and I'm glad to have you stop by. This dishcloth is my go-to pattern for gifts because it is so quick. I also like it because the cloth is thick enough to get the job done, but not too thick to wring out. Enjoy! 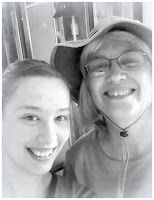 Howdy back Lori and welcome to the blog! We lived in Ohio for several years while my husband was enrolled at Ohio State and I miss so many things. I hope you will visit often! This is a wonderful tutorial! I'm making several dishcloths. Thank you so much! Wonderful blog btw, I'm in the process of learning how to keep my home clean and organized. Baby steps! Have you ever heard of FlyLady? www.flylady.net. She's wonderful! Thanks for your comment, Sarah. I'm so glad to have you visit and I'm pleased that the tutorial is helpful. After thirty two years of marriage, I sometimes feel like I'm still taking baby steps. Keep it up. I have heard of the fly lady - and I'm sure that site will be a help to you. Good luck with it all. I absolutely love this pattern. I am making my second now! Love your website! Thank you, thank you! I am a beginner and I've had the hardest time finding patterns that explain themsleves well. Yours is so easy to follow and the pics help so much. I love this pattern!! 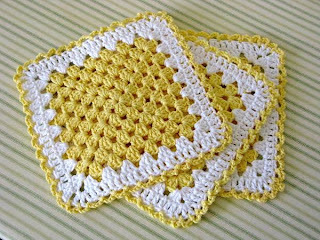 I love the look of this dishcloth! It's so bright and pretty! I finished my first one last night and am very happy with it. I will "block it" soon. Thank you! Your blog is very nice! Happy hooking! 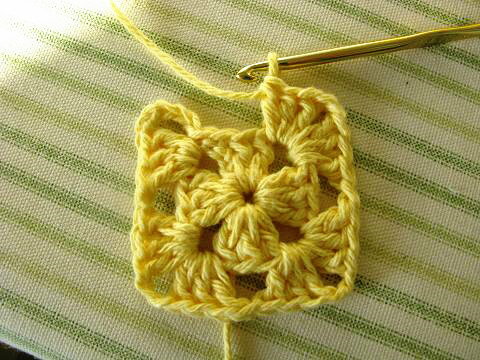 I'm so glad this pattern is easy and helpful. Grannies are fun, aren't they! I think this might be a good afghan pattern too. Is there any reason why it would not work? I love it. Hello Kathleen! Greetings from Portland, Oregon. I just found your wonderful blog via Lori Holt's Pinterest. Lori is a prolific pinner with over 1,100 pictures on her crochet board! She also has a lovely blog, "Bee In My Bonnet". I am one of those crochet "beginners" of over a year now...just can't seem to get crochet to come naturally to me. 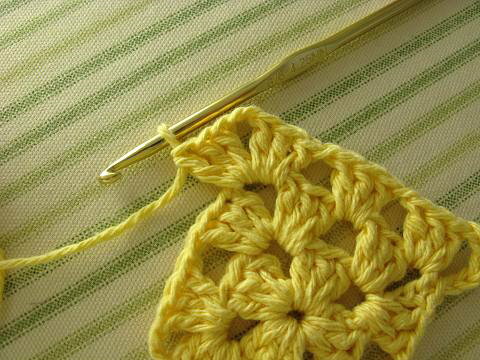 The main reason I wanted to learn to crochet was to make those lovely coat hanger covers, and granny squares! Your step-by-step tutorial seems to make the most sense, so I'm anxious to give it a try! I don't know if you've ever heard that from other beginners? I've never had trouble with knitting, embroidery, quilting, sewing, etc. 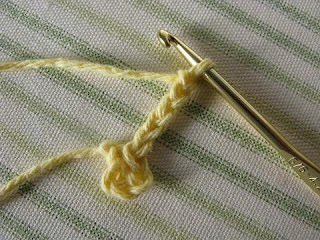 Just the elusive crochet! Thank you so much for your blog; I'm looking forward to giving it a go! HI! This blog is such a lovely concept. I am happy at least some young girls still have hope chests. 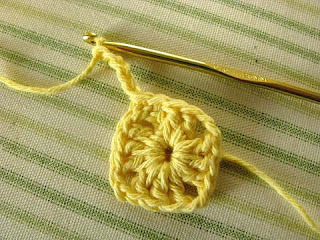 I am relatively new to crochet and I want to make a set of dishcloths for my grandmother for Christmas. I love the classic look of this dishcloth. My question is, cotton yarn makes the most sense, but how do these hold up over time being plunged into hot dishwater? I worry about the cotton shrinking. Thanks for the encouragement, Donna. Don't worry too much about shrinking. The cotton yarn will shrink some, but holds up wonderfully well. I think your Grandmother will love a set! website yourself? Please reply back as I'm wanting to create my own website and would like to learn where you got this from or what the theme is named. 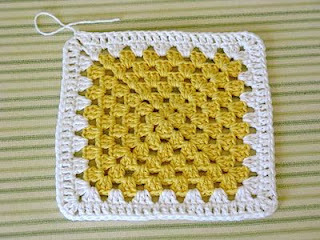 Your dishcloth is my first attempt at a granny square. I just finished it and love it! Thanks for sharing the pattern! I am so glad you all find this pattern useful. Glad to help! I'm new to crocheting, this is going to be my 4th project. The tutorial is clear and easy to follow, can't wait to get started after work. Thanks for sharing. 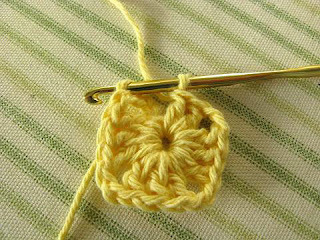 Welcome to crochet, Darlene! I'm glad this tutorial can help. LOVE THIS PATTERN! I’m between a beginner and advanced crocheter, but I have the ability to read and understand any pattern, so even advanced pieces come naturally to me. These cloths were so simple! These particular ones used a different Granny Square method than I’m used to, but I ended up loving the result of these so much better and will continue to use this concept for future Granny Squares! I made mine in white with a variegated blue edging and a very light baby blue lacy border (had to improviae as I discovered I had just enough white for the main portion of the Square). It turned out beautifully. 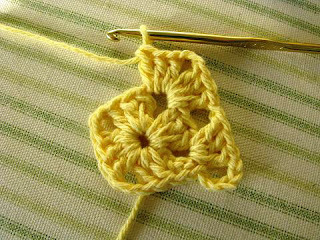 My other love about the Granny Square is how very easily they can be customized! 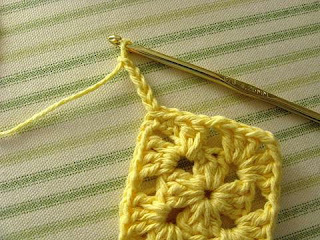 I prefer my cloths a tad smaller, and a bit more “drapey,” so when I crochet my Granny Square dishcloths using this same brand of yarn (my all time favorite for towels and cloths) I opt for a size F or E hook, depending on what I’m going for for my Granny Square design. For instance, I used a size F hook for my first go at this and loved the outcome! I even made the trim have a bit more of a Lacey feel, so I switched hook sizes for it and used an E (3.5mm) hook instead. Since I read and crocheted as I went, my first to took me about 2.5 hours to complete from beginning to end. Now that I no longer need the pattern, I can whip these up in no time! Thanks to you, all of my Christmas gifts will be completed by the end of this month! You are so welcome, Julia! Im's so glad that the pattern is helpful and that you can adjust to suit yourself. Kudos on getting your Christmas gifts finished so early - I'm impressed.